DAP veteran opposition leader and Member of Parliament Bukit Gelugor, Karpal Singh died in a horrific accident at mile 301.6, the North-South Highway heading to the North near Shell Cave, Perak at about 1.30 AM. Also killed in the accident was his personal assistant Michael Cornandez, while his son Ram Karpal was seriously injured. Karpal believed to be on his way from Kuala Lumpur to Penang to attend a court case died at the scene due to severe injuries. The accident occurred when the vehicle, a Toyota Alphard that is used rammed a truck that tried to change lanes without signaling. During his life, Karpal, 74, was known as an outspoken opposition leader and lawyer feared. Karpal was born in Penang on June 28, 1940. He received his law degree from the University of Singapore and served as a lawyer before beginning his political career in 1970 by joining DAP. He won his first election in 1974 at the seat of the Legislative Assembly (DUN) Kedah. The outspoken lawyer won the Jelutong parliamentary seat for the first time in 1978. Since winning in 1978, Karpal lost just once in the seat during the 10th General Elections in 1999. DAP chairman Karpal resigned recently after his conviction of sedition for saying Sultan can be sued in court in 2009. He once was detained with opposition leaders and other political activists under the Internal Security Act (ISA) and curled up in the Kamunting Detention Camp for two years after Tun Dr. Mahathir Mohammed launched Operation Lalang in 1987, which saw over 100 people arrested. Karpal is one of the leaders in promoting the formation of the opposition PR coalition comprising the DAP, PKR and PAS for the first time tradition two-thirds the majority of the Barisan Nasional (BN) denied in Parliament. 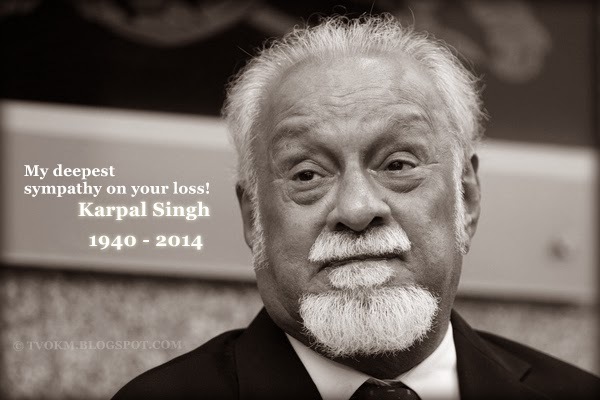 Karpal leaves a widow and five children and four grandchildren.